Apply for a Declaration of Exempted Development. The purpose of the Planning Section is to provide for the proper planning and sustainable development of the county, to promote and facilitate the development of sustainable communities and enterprise, and to ensure the protection of the natural and built heritage and amenity of the county. Find a planning record by reference number, name, address or date. The Planning Authority regularly receives correspondence from Solicitors/other parties requesting a letter confirming that development contributions have been paid in compliance with the relevant condition of the planning permission. The fee for this letter is €25. What access to planning information do I have? You are entitled to view, free of charge, all documents submitted with a planning application at the planning authority's office during office hours from the date of receipt of the application until the decision is made on it. Internal reports on the application, prepared by or on behalf of the planning authority, can be viewed after the planning authority decision has been made, during the period for appeal. Copies of any Environment Impact Statement and of extracts from such a statement can be purchased for a reasonable fee. Planning decisions are available for public inspection for up to 7 years after a decision has been made on the application. Older files may be inspected on payment of a fee of €10. The planning register and map is the record of all planning applications, decisions, appeals, enforcement action etc. The register is open to public inspection, free of charge, at the planning authority offices during office hours. 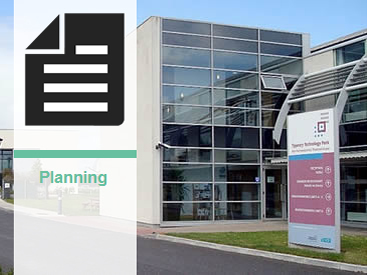 Planning Section, Clonmel will be unavailable to the public on Thursday 31 January 2019.